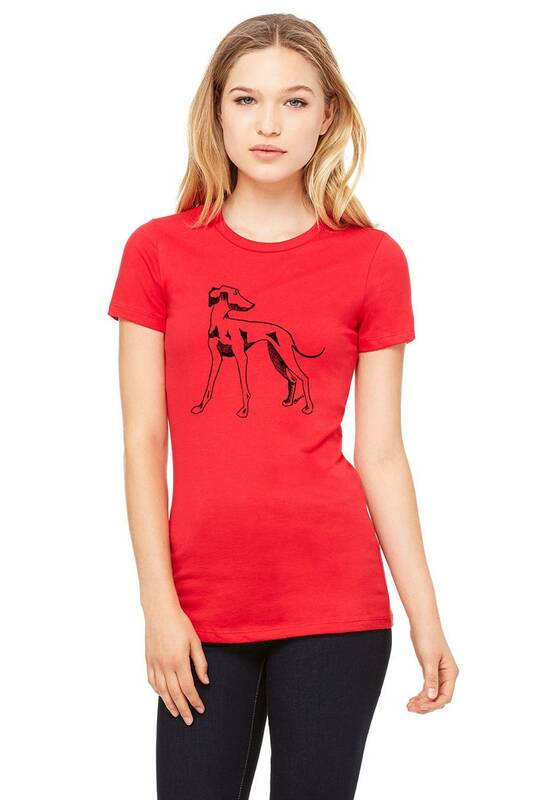 THIS DESIGN: This shirt features my drawing of an Italian greyhound. It could also be a whippet. All artwork/design-work is my own and screens are burned and printed by me. You may choose other shirt colors from the drop-down menu or different ink colors by writing them in the "message to seller" section during checkout. ♥ SHIRTS RUN VERY SMALL ♥ (like most quality ladies shirt blanks) But getting a good fit is so EASY when if you use the great fit guide and size chart provided in the photos. This technique works when you order clothing anywhere online. I realize that people come in lots of shapes and sizes, and I do also offer missy fit tees https://www.etsy.com/shop/causticthreads?search_query=missy and curvy fit (traditionally plus size) tees https://www.etsy.com/shop/causticthreads?search_query=plus that run true to size and I can print any design from my shop on them. There is an accurate size chart in the last photo. There are detailed instructions below make it simple for you get the best fit possible. I suggest ordering up one to two sizes larger than you would for Missy fit clothing. • Don't see the size you need? I can almost certainly get it for you. Contact me! 10th photo: Size chart and shirt color chart. Great shirt; will order more again. Size recommendation was also so helpful for a great fit!